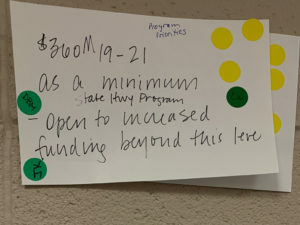 MADISON, Wis. — After two meetings and tax-and-spend recommendations from his “hand-picked” transportation task force, Gov. Tony Evers last week “signaled” gas tax hikes could be in his budget proposal. The task force that Evers called for last month in his state of the state address was made up of road builders, big government bureaucrats, big government lobbyists, big labor, and environmentalists. Fiscal hawks in the Legislature certainly aren’t. “Many of us were concerned this would all be preordained, and it appears to be just that,” said state Sen. Tom Tiffany (R-Hazelhurst), who warned earlier this month that Evers’ so-called Transportation Stakeholders Task Force would prove to be a “tax force” — a political dog and pony show to grease the skids for tax increases. You could see this one coming from a mile away, critics say. It began when the Democratic governor nominated long-time transportation lobbyist Craig Thompson as his secretary of the Department of Transportation. The task force that Evers called for last month in his state of the state address was made up of road builders, big government bureaucrats, big government lobbyists, big labor, and environmentalists. A few Republican lawmakers made the cut, but not one representative from taxpayer advocacy groups was invited to the two hastily scheduled meetings this month in Madison and La Crosse. 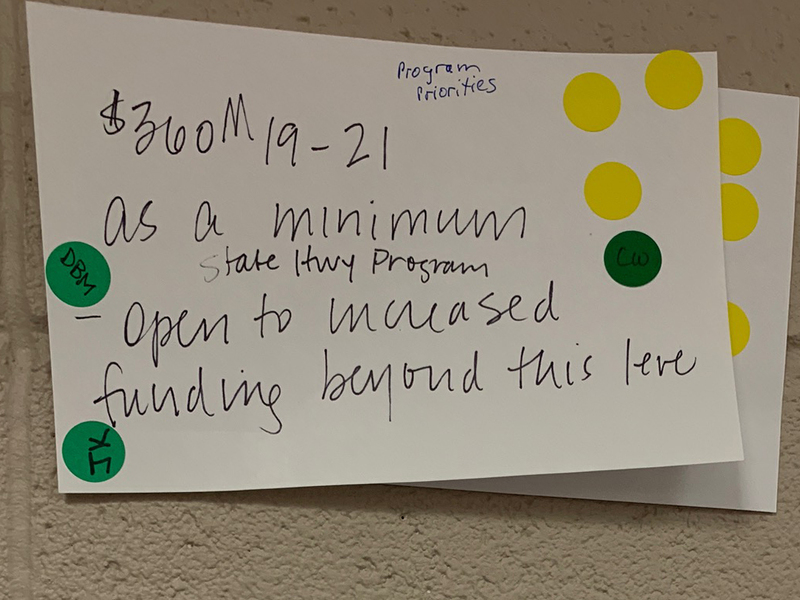 Task force members clearly seemed of one mind: Tax and fee hikes first, reforms to a bloated state agency that has cost taxpayers billions of dollars in bad planning and bad policies an afterthought at best. “Go ahead and increase the gas tax/excise tax and then go ahead and bring back the indexing,” Abe Weber, vice president of the Wisconsin Airport Managers Association, told his colleagues in La Crosse. 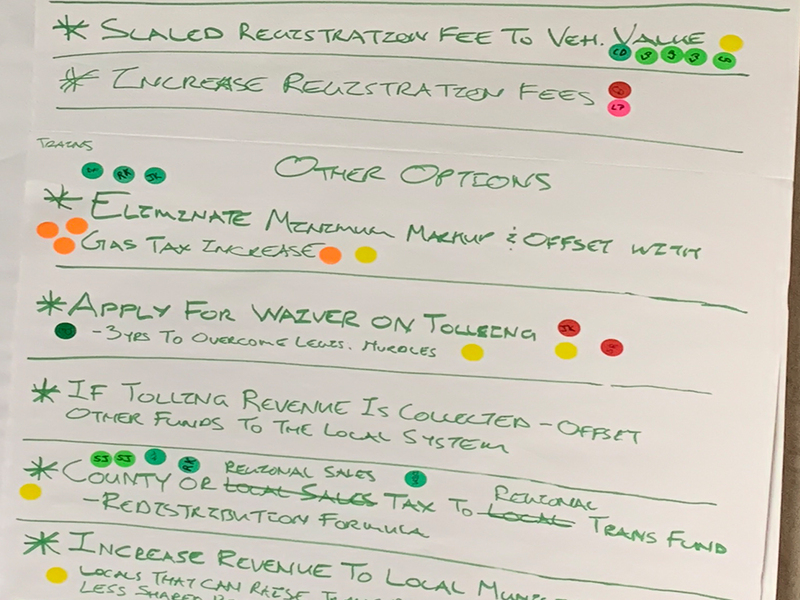 “So, we started with, obviously, a gas tax increase/indexing to raise enough revenue to not only be able to pay for state roads and highways but also to filter down to the local governments as well,” Racine County Executive Jonathan Delagrave said. But wait, there’s more. Much more. Such sentiments should come as no surprise. In convening the task force, Evers told members that DOT doesn’t have a spending problem, it has a revenue problem. Speaking to reporters last week, Evers said there seems to be “consensus” on transportation funding. “A lot of it is an issue of revenues, and we’re hopeful that you’ll take that on and come to a good conclusion there,” the governor said. Assembly Speaker Robin Vos sounded skeptical about the assembled task force and their revenue recommendations. “I look at their process, where they kind of had a hand-picked group of people meet twice in a week. I think it sounds to me like it was all ideas the DOT came up with before. So there’s no really new ground here that’s being plowed . It’s kind of the same argument over and over,” the Rochester Republican told reporters last week. There was some interest in a proposal that would implement a 5 percent sales tax on motor fuel, something Wisconsin consumers currently don’t pay. “If the exemption were eliminated and all revenue were directed to the Transportation Fund, we estimate that by the third year we would raise about $475 million in additional revenue annually,” a DOT presentation of revenue options notes. While Illinois and Michigan impose such a tax, the cost to consumers and service stations can’t be ignored. 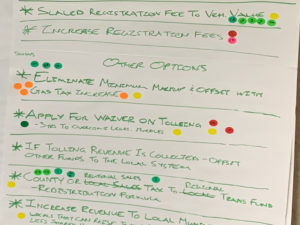 Other ideas under deliberation included a sliding annual registration fee on new vehicles based on the vehicle’s value. The progressive fee would continue over the life of the vehicle registration in Wisconsin. Several counties proposed asking the Legislature for the authority to raise the sales tax, they say, for road repairs. Also considered, the ever-discussed tolling. “We also wanted to make sure that we are looking at at least an application towards tolling and what that can generate. We know that takes a long time so we should at least be starting the process,” Delagrave said. Vos and Senate Majority Leader Scott Fitzgerald (R-Juneau) have expressed support for tolling to generate more revenue for Wisconsin’s transportation system. Evers’ DOT secretary-designee made it clear where he’s heading, and toll roads don’t fit into his short-term fix for what he and his transportation interests paint as a massive funding hole. “I think for today we want to look at user fees that we have existing that we could collect without a lot of administrative costs, but we’re more than open to looking at more options for down the road,” Thompson told Wisconsin Public Radio last week. Still no talk of tackling agency waste. A DOT official last week told MacIver News Service that she could confirm that there are no additional meetings of the task force scheduled prior to Evers’ budget unveiling, expected at the end of this month. On Thursday, agency spokeswoman Kristin McHugh said she was looking into MacIver’s other questions, including whether the DOT would continue to follow cost-saving recommendations issued by the legislative audit committee and the agency itself under former Transportation Secretary Dave Ross. McHugh had not provided answers to MacIver’s remaining questions as of this post. A 2017 MacIver Institute analysis found $2 billion in wasteful transportation spending — from unnecessary and expensive bicycle path projects to DOT bid failures. The DOT lost $44.7 million by failing to solicit more than one bid for 363 of its construction contracts between January 2006 and December 2015. Had each of those projects received just one more bid, DOT would have saved $4.5 million per year from ’06-’15, according to an audit of the agency. And taxpayers have been on the hook for the agency’s failure to recognize the huge cost savings to be had in the design-build approach. The practice integrates the standard activities involved in transportation projects under a single contract. The Texas Department of Transportation, for instance, reported its best-value design-build proposals usually come in 15 to 20 percent below the engineer’s estimates, according to a Texas A&M Transportation Institute Study. And design-build projects in the study typically were completed from three to 10 months early, another big cost savings.